Smartlipo TriplexTM – the newest, most advanced, liposuction laser and the ONLY one with skin tightening! Done in the office while you are awake, with minimal downtime and less pain than traditional liposuction alone. Our body shape naturally changes. Some of these changes cannot be avoided, even if we make the best lifestyle choices. Fat tissue builds up at unwanted areas, mostly toward the center of the body. These wavelengths can be used in single or blended modes. Smartlipo TriplexTM uses an intelligent delivery system that enables the doctor to customize and blend the energy levels, in order to achieve optimal patient outcomes. Through a tiny incision, the size of the tip of a pen, a cannula is inserted under the skin. Through the cannula, we first deliver local anesthesia. Next, a laser fiber is inserted to deliver energy directly to the fat cells causing them to rupture, and at the same time, cause the under surface of the skin to regenerate. The liquefied fat is then gently sucked out. Conventional liposuction leaves behind loose skin. Smartlipo TriplexTM removes the fat, tightens the skin, AND regenerates collagen. No need for an additional operation (e.g., tummy tuck). Liposuction requires general anesthesia; Smartlipo requires only local anesthesia, so you are fully awake and comfortable. Much less downtime. It is done in the office; you walk in and you walk out. 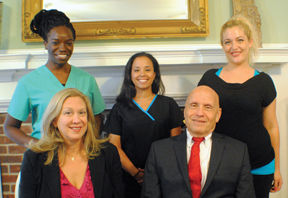 You are back to work in one or two days after the Smartlipo procedure. 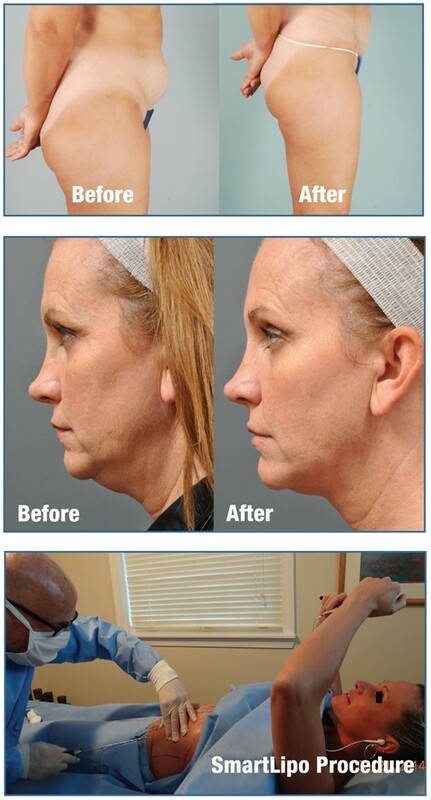 Cost is significantly lower than traditional liposuction and tummy tuck surgery. 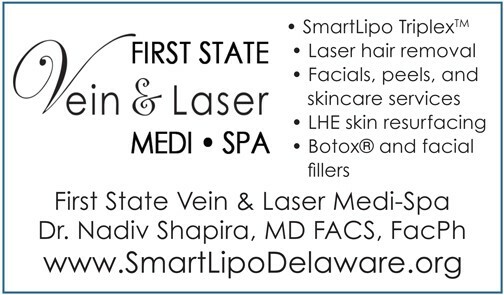 Smartlipo is less invasive and much safer than traditional liposuction. There is little bruising, swelling, and discomfort after the Smartlipo procedure. There is little or no pain involved with the Smartlipo procedure, unlike the painful healing process with traditional liposuction.